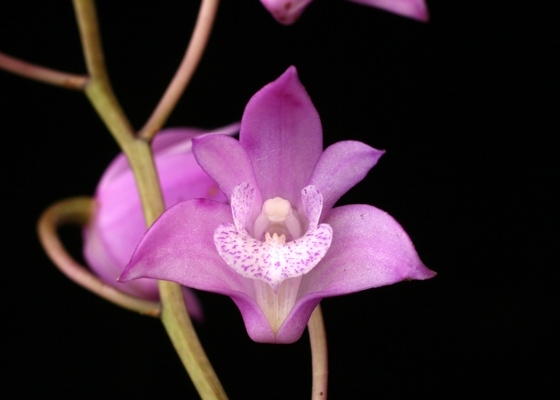 This Australian Dendrobium hybrid (kingianum x King-Wong) has shell-like soft purple-pink color throughtout the flower, and its cream lip is evenly marked with fine purple specks. 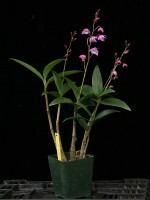 Its biggest distinction from its species parent kingianum are its tall flower spikes above the foliage. Light, sweet fragrance.Temperature Tolerant. March blooming.